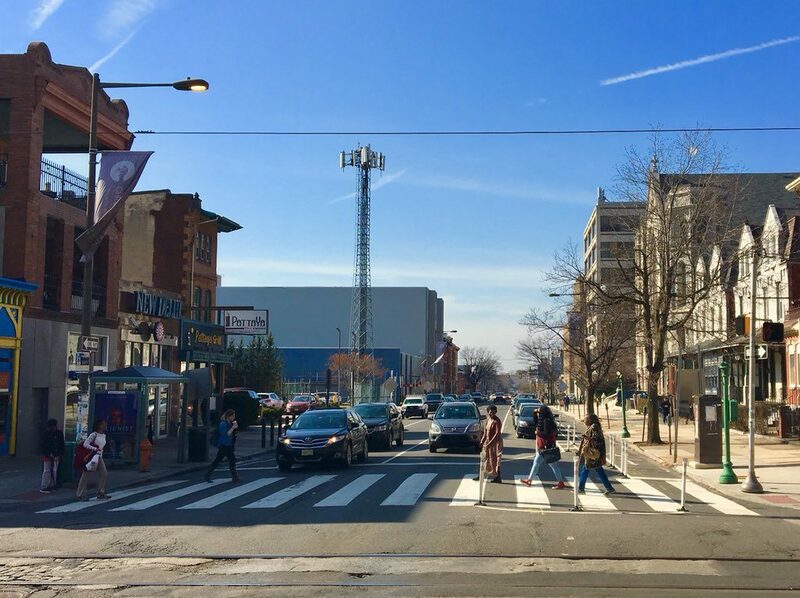 As the City of Philadelphia implements its Vision Zero Action Plan, the Bicycle Coalition of Greater Philadelphia offers this reflection to make suggestions for how the engineering, education, and enforcement strategies contained within are equitable. Equity has taken center stage in US Vision Zero Cities. While Vision Zero programs can generate positive impacts in high poverty neighborhoods and communities of color, the risk of unintended consequences cannot be ignored. American cities have and continue to face racial disparities in terms of poverty, unemployment, education, and health outcomes. Transportation is a subject where many of these issues meet. African-American children are two times as likely to be killed while walking than white children (Dangerous by Design, 2011). Philadelphia is no exception. Our Vision Zero Action plan acknowledges income disparities in traffic crashes, stating, “more traffic deaths and severe injuries occur in neighborhoods where most residents live below the poverty line.” (pg. 12). An example that highlights these inequities clearly is the number of children struck by vehicles in Philadelphia while walking. 47 Philadelphia Elementary Schools had 15 or more children struck by drivers within a quarter mile of campus. Of those schools, 32 of them are located in census tracts where both the poverty rate and percent of non-white residents is greater than Philadelphia’s averages. Note: the Vision Zero Action Plan calls to expand the City’s Safe Routes to School program, Safe Routes Philly, begin crash analysis at focus schools, and implement improvement projects at six schools. While there is a commitment to equity throughout Philadelphia’s plan, we hope that moving forward the City will be transparent and specific about how equity is defined, how the benchmarks (pg. 42) will include equity, and how equity will shape the plan’s implementation. Furthermore, we think it is imperative that the Vision Zero Task Force closely examine the impacts of police enforcement, looking at the issue from multiple angles. A key concern is the use of enforcement in communities of color. In Chicago, Equiticity, an organization dedicated to racial equity, especially as it relates to mobility and livable communities, has a campaign calling for the removal of all police traffic enforcement strategies from the Vision Zero Action Plan. When Tamika Butler was Executive Director of the LA Bicycle Coalition, she was on a mission to ensure that efforts to end traffic violence would not in turn exacerbate other forms of violence against vulnerable communities. As Streets Blog reported, “Her active dedication to valuing and advancing the safety and well-being of all lifted the profile of the LACBC and gave the organization a platform from which to shape national conversations on the topic. Always employing engineering, education, and community engagement prior to any consideration of enforcement tactics, especially in low-income communities and communities of color. The first principle in the Untokening’s Principles of Mobility Justice is: Seek to Repair Harm, Not Erase History. 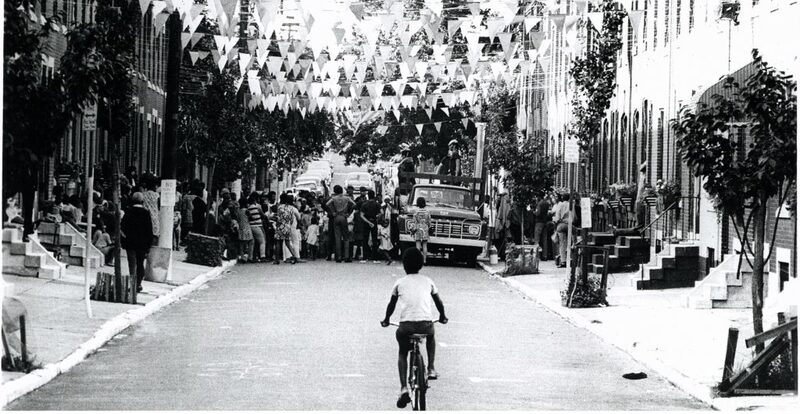 The first step in having a truly equitable Vision Zero program is to realize that, “the concentration of traffic safety problems are not accidental, but rather the result of patterns of disinvestment and under-investment in certain communities, particularly historically black, brown, and immigrant communities.” (Vision Zero Network, Equity Strategies for Practitioners, pg 2). Moreover, the issues Vision Zero seeks to solve do not exist in a vacuum. Communities are facing a myriad of challenges that stem from the historic disinvestment and structural racism. City agencies and advocacy organizations alike need to find ways to work outside of our single issue area, and create coalitions that can respond to a variety of needs – street lights, bus fares and service, affordable housing, food and green space access, and more. These all play a part in Vision Zero’s success. 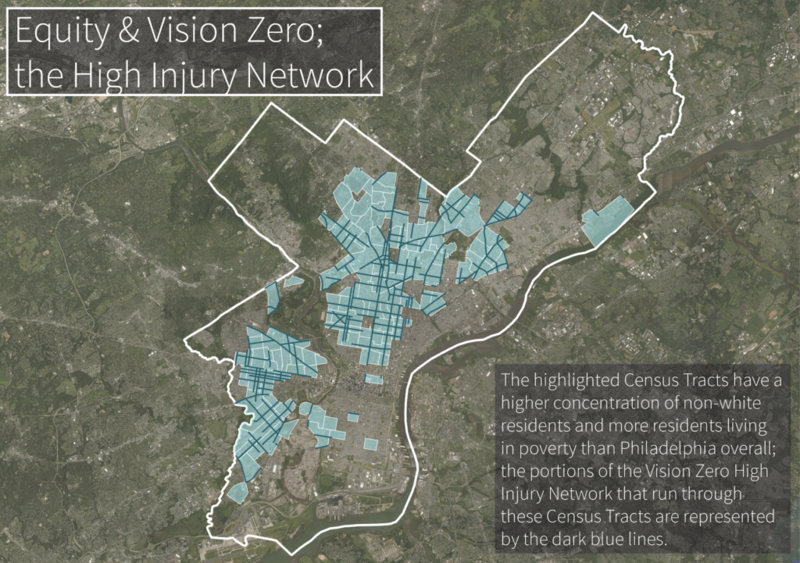 We hope that Philadelphia will become a leader in elevating equity in Vision Zero. We will continue do our part through expanding the Vision Zero Alliance to include more grassroots organizations and community voices across racial and socioeconomic groups. We endeavor to create a truly inclusive alliance, which will work first from a place of listening and learning.